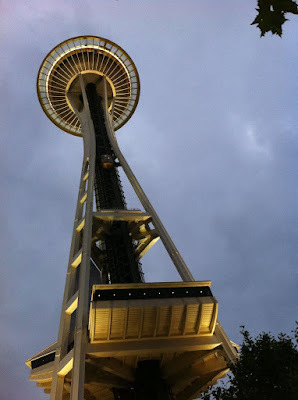 Grey, grey Seattle – grey weather and a grey town. There’s something a little disappointing about Seattle. Somehow it turns its back on Puget Sound, cut off by a major freeway, and with the awful Route 5 also bisecting it a few blocks east. 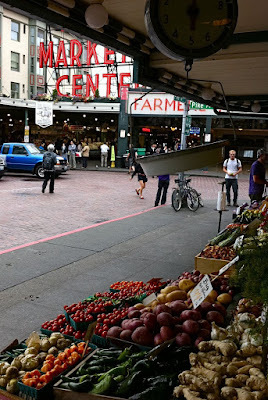 Once you’ve seen the Space Needle and the Skytrain, wonderful 60s ideas of the future, and the Pike Street Market, there’s not much else for the tourist (unless you want to visit the original Starbuck’s – many Chinese tourists do!) 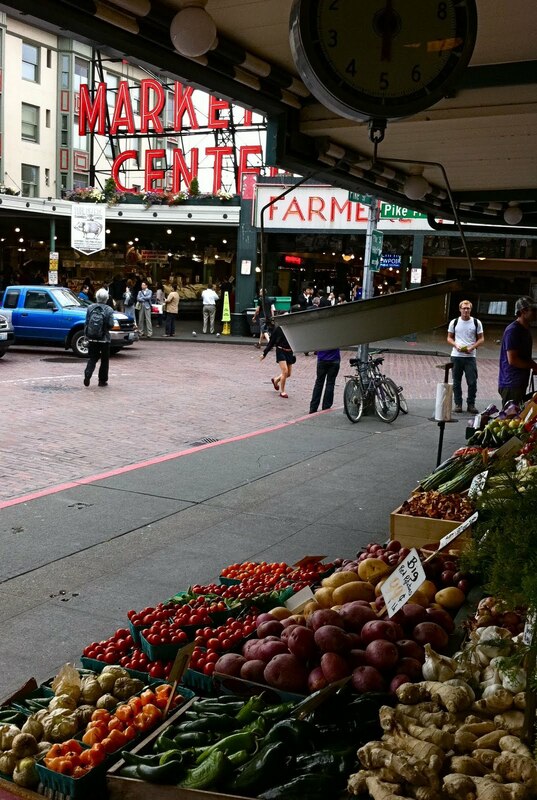 Everyone says Seattle people have a great lifestyle and I’m sure it’s true; it just doesn’t translate into the physical environment. The centre seems dowdy and grey, with many vacant lots and few new buildings. Maybe we we didn't give it a fair chance. We travelled over from Victoria on the Clipper, a fast hydrofoil that gets you right to the centre of town and well worth doing. Then next day we picked up a car and drove up to the Boeing plant, twenty miles north. I remember the Boeing factory like it was yesterday. God! That was 10 years ago.